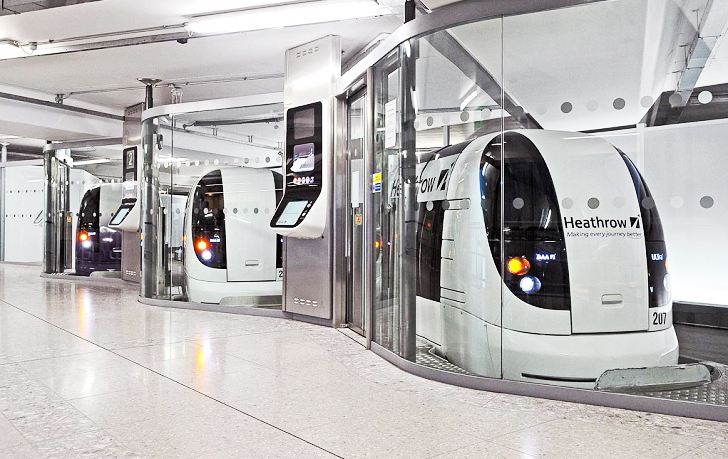 Milton Keynes, a small city north of London, just announced plans to install 100 self-driving “pod cars” to connect the city’s downtown to its central train station. Powered by electric motors, the ULTra Personal Electric Transportation Pods will travel along the pavement at speeds of up to 12 mph. The $104 million project is part of a five year pilot plan that is expected to be completed by 2017. Pedestrians will be able to call the pods via a smartphone app for a ride that costs $3,19. 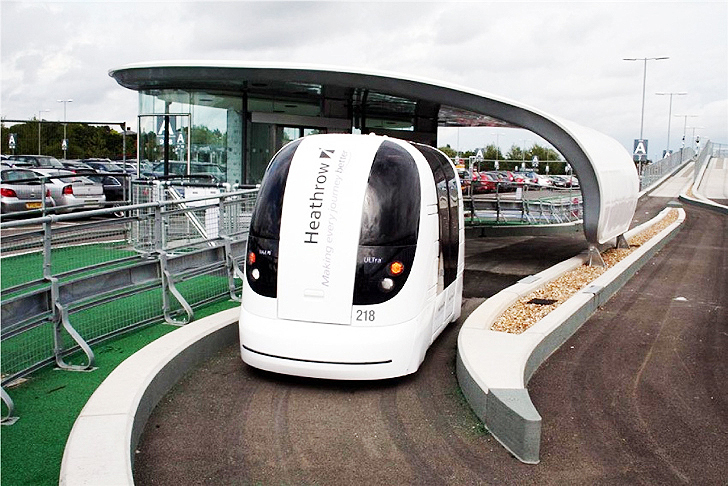 The system has been in use at London’s Heathrow airport since 2011, but the UK government is now looking to direct it towards public transport as a way of freeing up roads from polluting buses. The pods are currently using segregated lands but the long term plan is to remove these to allow the system greater versatility. Each of the computer-driven vehicles provides transport for up to four passengers, along with personal items such as luggage and shopping. The battery-powered pods have rubber tires and navigate complex routes with lightweight infrastructure. They are virtually silent when running, producing little or no external vibration and zero emissions. Some runners can run this fast. 12 miles per hour? Really? They're the future. A trifle (!) slowwww but it's something to work on. Is it just me or do these look like Daleks? 12 mph? Wow. That's almost as fast as a bicycle. Milton Keynes, a small city north of London, just announced plans to install 100 self-driving “pod cars” to connect the city's downtown to its central train station. Powered by electric motors, the ULTra Personal Electric Transportation Pods will travel along the pavement at speeds of up to 12 mph. The $104 million project is part of a five year pilot plan that is expected to be completed by 2017.